TekAudio system is one of the best wireless bluetooth audio system of its kind. It has a simple to use bluetooth stereo audio streaming system which can play with the on-board 6W amplifier or use an external amplifier. The use of expansion ports which can add even more features to the TekAudio Bluetooth Stereo System. You can add button control, microcontroller control through the bluetooth UART and microphone input. 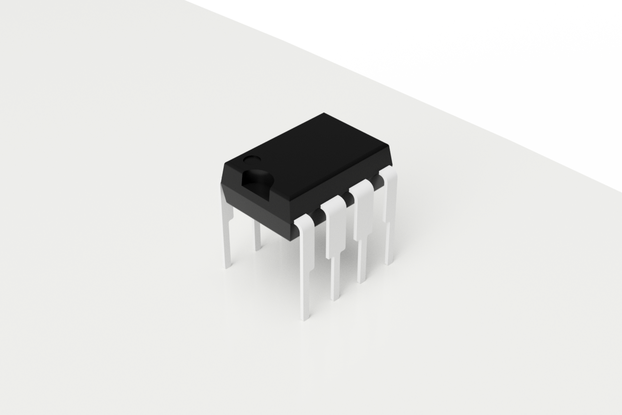 Our personal favorite is the audio output on header pins. 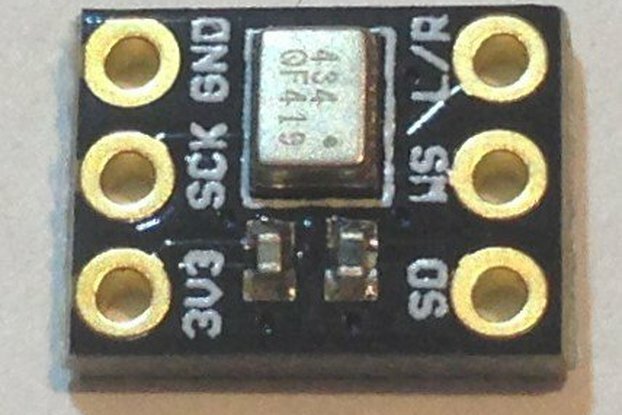 This can be used to add audio activated circuits, LEDs, etc. 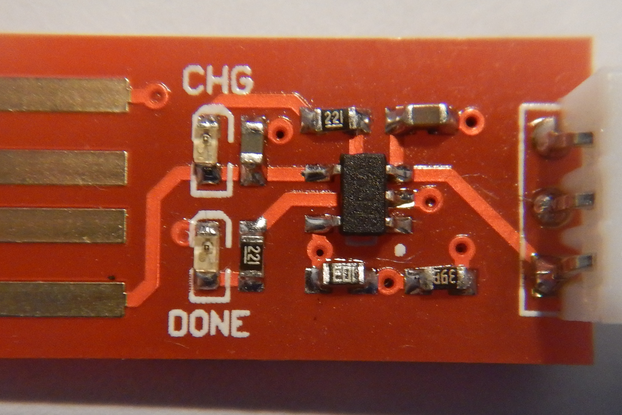 Stay tuned for a release of expansion boards to add to the system for more features. 60-150mA Current consumption. Varies due to volume level. Please note you will need to add options to the base model which doesn't include the on-board 6W stereo amplifier. All components will come assembled on the board. Please read our manual for more details on how to use the product and the specifications, which is coming soon. 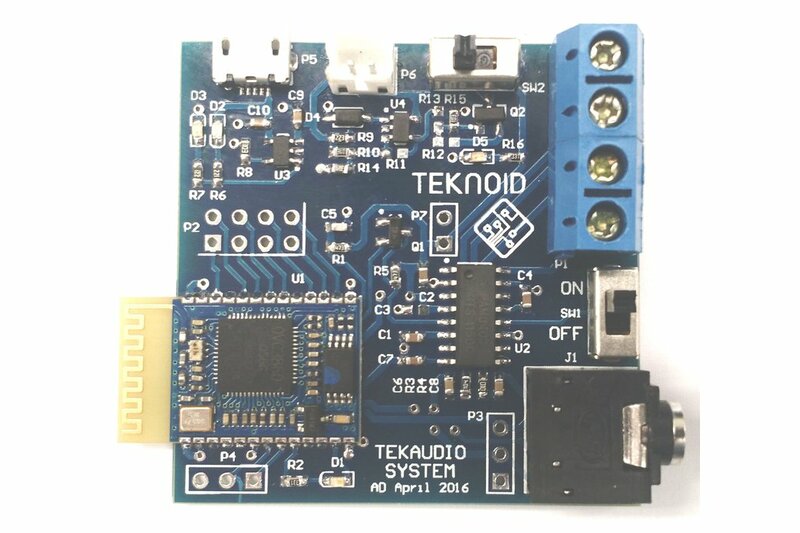 Don't forget to look at our expansion boards for the TekAudio Bluetooth Stereo System. They are coming soon. Portable 6W Bluetooth Stereo Speakers. Bluetooth Audio with Stereo Audio out. Bluetooth Jukebox with visual effects. These are a sample of uses the TekAudio system can be made for. 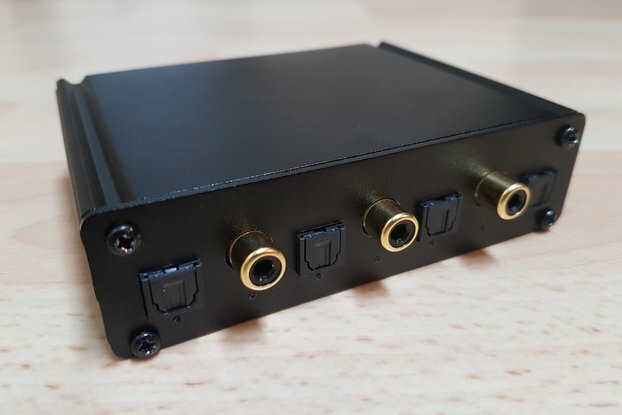 This is a great building block for any project which can incorporate bluetooth audio streaming. 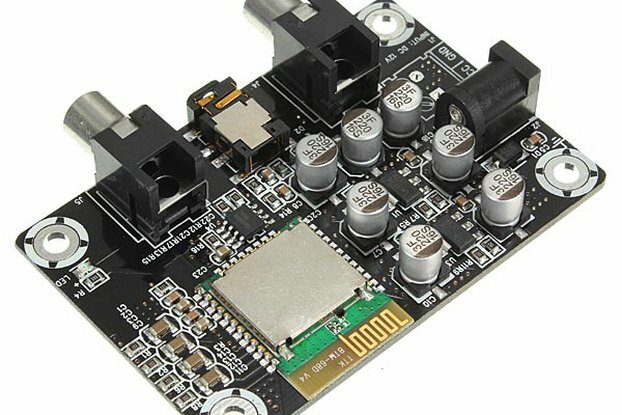 Please read the documentation for TekAudio for more detailed specifications and explanation of how to use. TekAudio Stereo System is designed and manufactured by Teknoid Electronics in Australia.